Doctorow’s writing is a thing of beauty, much like Steinbeck’s. 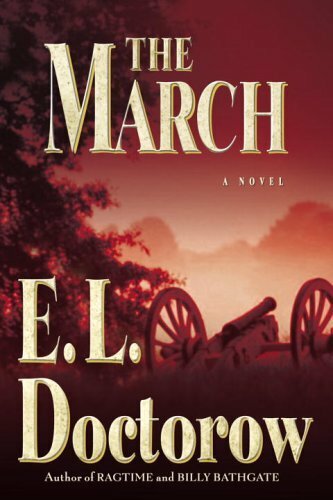 In this book, he tackles Civil War history with a large cast of characters headed by General William Tecumseh Sherman as he marches his 60,000 troops through the south creating a swath of destruction as they go. Ordered by Sherman to live off the land, his troops pillage homes, steal cattle, burn crops, and attract a large population of freed slaves with nowhere to turn. Sherman, who is loved by his troops, is characterized as unstable, yet a strategic genius, who is alternatively charismatic and detached. Other characters include: Pearl an attractive young slave uncertain of her future; Colonel Sartorius a cold but brilliant field surgeon seemingly numb to the horrors of war; Arly and Will two Confederate defectors who provide comic relief; and Emily Thompson a displaced southern aristocrat who assists Colonel Sartorius and is his lover. Doctorow’s books Ragtime and Billy Bathgate are equally spectacular.